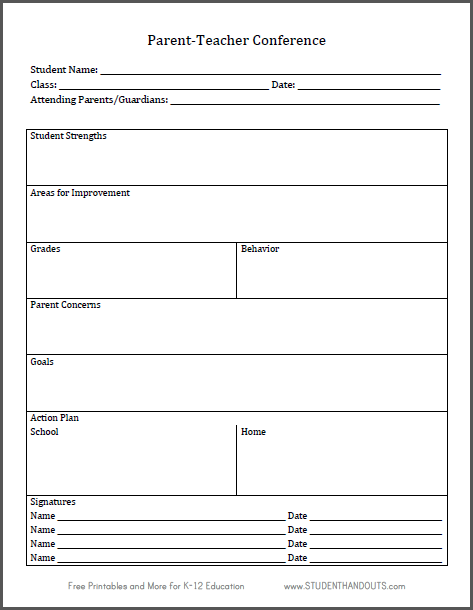 This free printable log sheet is designed for use during parent-teacher conferences. There are spaces for student strengths, areas for improvement, grades, behavior, parent concerns, goals, an action plan for home and school, and signatures. Click here to print.